All the photographs and most of the research on this page are courtesy Sheila Lafleur, to whom many thanks. On February 24th 1795 Samuel Wills (born 1768), a widower from Buckfastleigh, married Mary Jewell in Ashburton. She had been baptized in Ashburton in November 1770, the daughter of Benjamin and Agnes. By the time of the 1841 census Samuel, a woolsorter, is living with Mary and Agness (a daughter) in North Street. In the same building is James Wills, also a woolsorter, Ann, and three younger Wills: Richard, James and Samuel. The birth of James born 1812 is not registered anywhere in the Ashburton area. However, his brothers and sisters were all bapt. as Wesleyan = Methodist. When the independent church movement got under way a lot of people did not know whether to change religions or not. So they figured if some children were baptized in the established church and some in the independent church then they were covered both ways - or they decided to just wait and see what happened and thereby children were not being baptized at all. James Wills (1) born Ashburton circa 1813. Married Ann Slocombe, 1841, Ashburton. James Henry Wills (2) born Ashburton circa 1836. Married Lavinia Gillett, 1857, Kooringa, Australia. 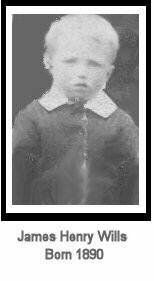 James Henry Wills (3) born Ashburton circa 1865. 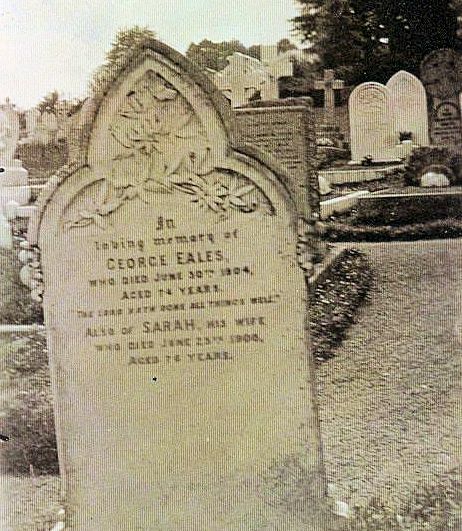 Married Susan Ann Eales, 1887, Newton Abbot registration district, presumably Ashburton. 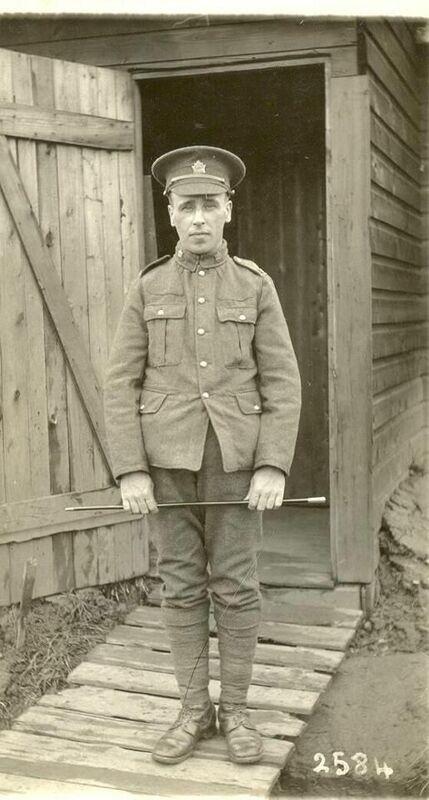 James Henry Wills (4) born Ashburton 1890. married Ellen Nellie Edwards, 1917, Ontario, Canada. James Wills (1) married Anne Slocombe on February 18th 1841 in Ashburton, with Samuel Wills and Thomas Slocombe as witnesses. both James and Anne signed their names with an X. The 1851 census shows 38 year old James Wills (1), a woolcomber, living with his wife Ann in North Street. Three children are with them: 15 year old James (2), Samuel*, and Sarah Ann. All the family were born in Ashburton. 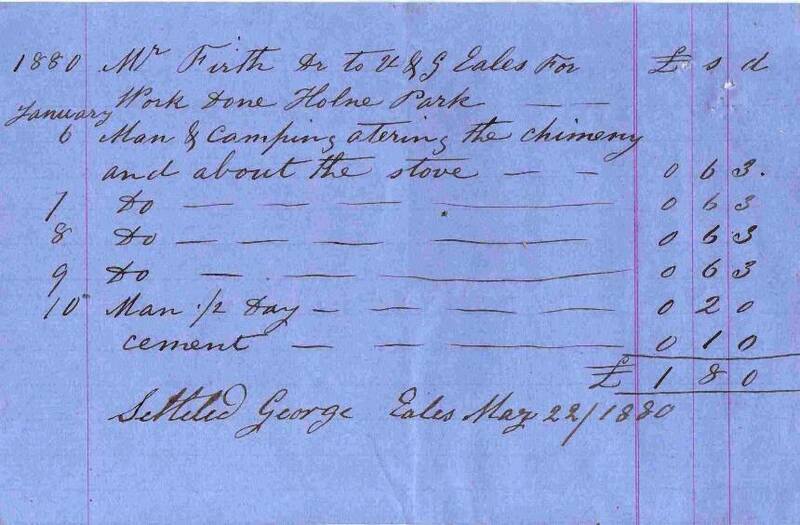 1851 census HO107, Piece 1871, Folio 325, p25. *Two children named Samuel were born to the couple: Samuel born circa 1841, (possibly Samuel Wills Slocombe whose birth was registered in the June quarter of 1840), who died March 11th, 1842, and Samuel who was born circa 1842. 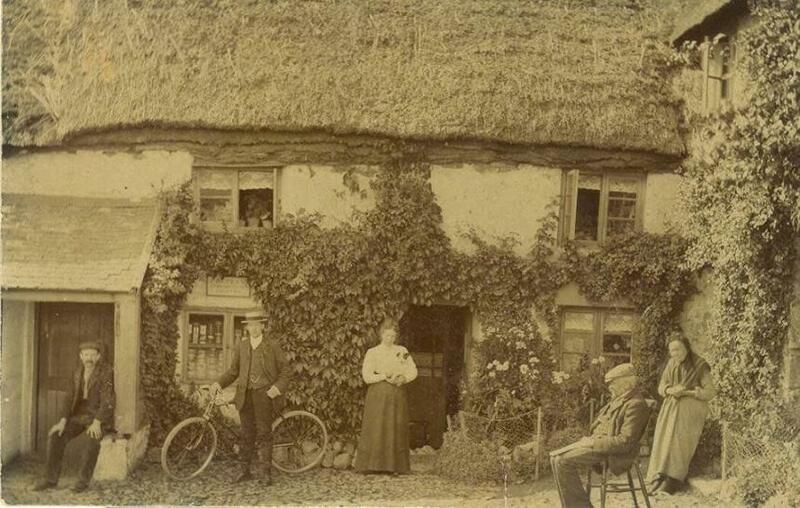 By 1881 Samuel, a carriage proprietor, was living with his wife Mary and daughter Bessie Ann in Tormoham, Devon. 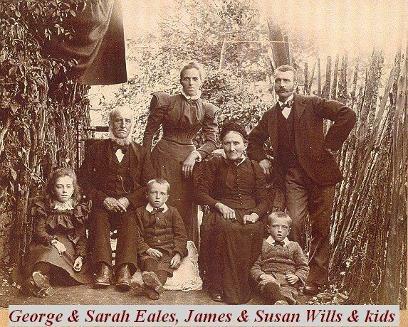 Other children born to the couple were Joseph Thomas George Wills born in 1839 and Mary Wills born in 1847. In 1864 John Boaden was sentenced to three months hard labour for stealing various items, including clothing, from George Cooke and James Wills of Ashburton. During the case it was stated that Cooke had lived in the property of James Wills, a lodging house keeper. The 1871 census shows a James Wills (1), with a wife Ann, as a licensed victualler in North Street. His age is difficult to read, but it appears to be 59. Their son Samuel is living with them, plus a married daughter, Sarah A Harding, and family. Anne (Slocombe) died on October 1st, 1882. 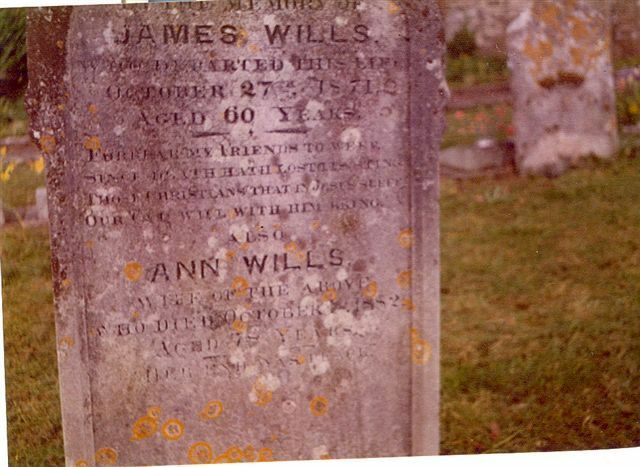 Left: Headstone for James Wills (1) and Ann in St Andrew's churchyard. One child of Sarah Ann Harding, née Wills, was called Samuel. He died in WW1, and is in the Roll of Honour, under Ashburton in Peril, on this site. The South Australian marriage registrations gives the following information for St Mary Church, Kooringa, 28th March 1857: Groom, James Henry Wills, aged 23. Bride, Lavinia Gillett Conibear, aged 24. The groom's father is James Wills, and the bride's father is William Conibear. Lavinia Gillett Conibear was baptized 14th October 1832, the daughter of William Conibear and Eve Sarah Conibear. Parish registers, London, England, Births and Baptisms, 1813-1906, St George the Martyr, Southwark (then classed as Surrey). 'Sometime between 1851 census and 1856 James Henry Wills left the shores of England and headed to Australia, perhaps to work in the growing sheep industry or to try his luck in the gold rush. In a very old letter given to me from Gwen Munro it stated that Lavinia Conibear was working as a stewardess on a sailing boat/clipper-ship and when she arrived in Australia went to a friend's house where she was surprised to see a familiar face - James Henry Wills, who she had previously meet on Union Street in Plymouth, England. The two started dating and married March 28, 1857 in St Mary's Church, Kooringa, Burra, South Australia.This church was the first Church of England Church built in Burra and was demolished long ago. A new grand church with the same name was opened about 1880 and is still there today. 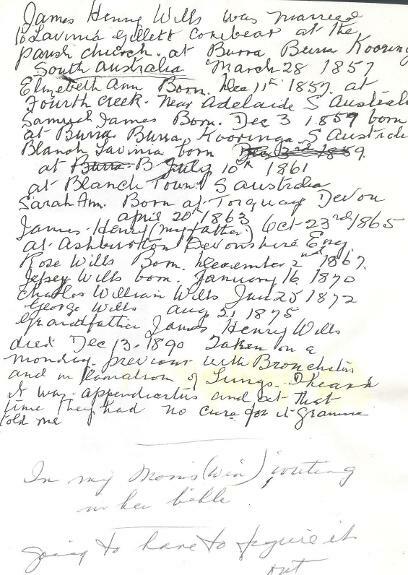 The wedding proof in Burra came to me down through family records as my grandfather's sister was researching the family in 1960. Also I did receive proof from someone from Burra Historical Society. I believe James Henry was probably a miner who worked for the South Australian Mining Association (the owner of the Burra Burra Copper mine 1845-1877). At the time of his son Samuel's birth in 1859 he was living in Redruth, Burra, a government town very close to Kooinga. Kooringa was a mining company owned town and houses were for lease only so miners established their own town of Redruth where they could buy land freehold. There was no local paper until 1877 and details about early inhabitants are very hard to find. Blanche Lavinia Wills was born in 1861 in Blanche Town around the same time as the ill fated Burkes & Wills expedition came to an end. There were search parties out looking and apparently Lavinia came across some of the stray camels. Unfortunately I can't read much this part in the old letter. Sometime between 1861 -1862 they left S. Australia probably from Port Adelaide and returned to Devon.... Blanche was baptized in Ashburton Aug. 1862, and James occupation is said to be a woolcomber. 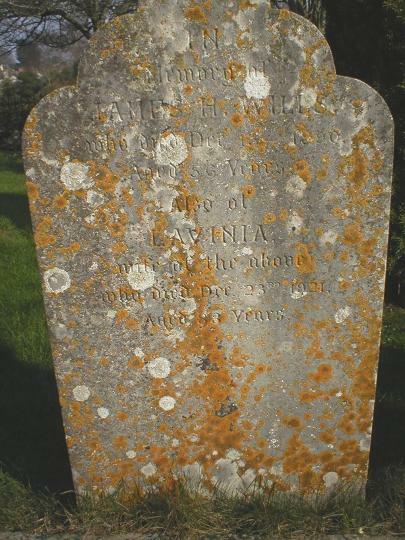 Sarah Ann Wills was baptzed April 1863 in Torquay...then I see them back to Ashburton where James Henry Wills (3) was baptized in October 1865. His father James Henry (2) at this time was listed as postman, and he was still a postman in 1869 when daughter Rose Wills was baptized. I am assuming he took over The Bay Horse Inn when his father passed away in 1871 ( James (1) ) for White's Directory lists James Wills as beerhouse keeper and lamp and oil dealer..and on his last census entry 1881 oil dealer is his occupation. (See below). 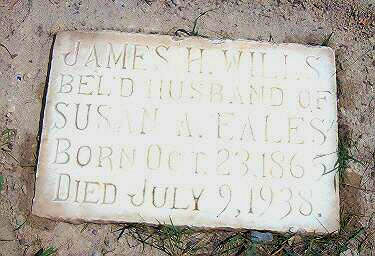 James Henry Wills (2) died in 1890 . In 1873 James Wills, innkeeper of North Street, was fined 5s and 6s costs for leaving his trap outside his door for 3 hours. The 1881 census shows James (2) living in North Street. 46 year old James is an oil dealer and he and his wife Lavinia (who was born in London) have four children living with them: 19 year old Blanche L(avinia); 17 year old Sarah A(nn), who was born in Torquay; 15 year old James H. (3) and 13 year old Rose. Although Blanche L. Wills was born in Australia, the parish register shows her being baptized in Ashburton in 1862, the daughter of James Henry Wills, woolcomber, and Lavinia Gillett. Above and right: James Henry (2) and his wife Lavinia. James Henry (2) died on December 13th, 1890. His son James Henry (3) registered the death. Right: Tombstone for James Henry (2) and Lavinia. She died aged 88 in 1921. 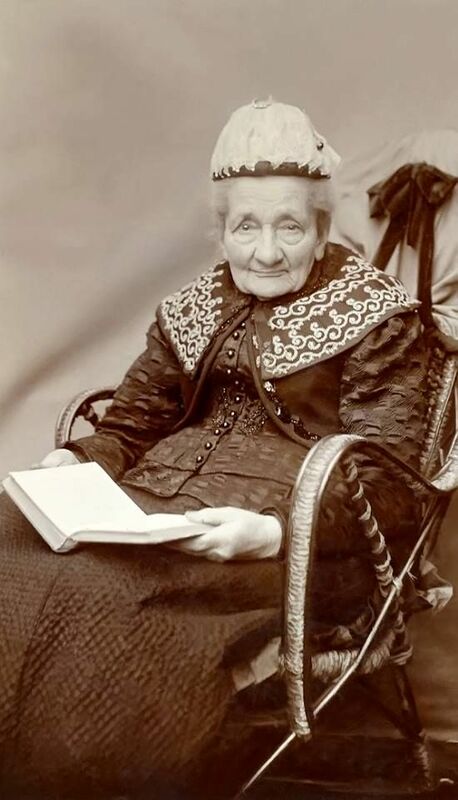 Rose Wills, the daughter of James Henry (2) and Lavinia, was born on December 2nd, 1867. The family were living in Back Lane at the time, and her father's occupation was letter carrier. She married widower Thomas Webber on November 1st 1889 - he was the innkeeper of the Admiral Nelson Inn, Dartmouth, but had been born in Ashburton*. *In 1891 he and Rosa are at the Saltash Passage-Ferry Inn. He says there that he was born in Newton Abbot. Above: Susan Ann Wills is standing in the doorway; her husband James Henry Wills (3) is sitting on the left. Ashburton area? 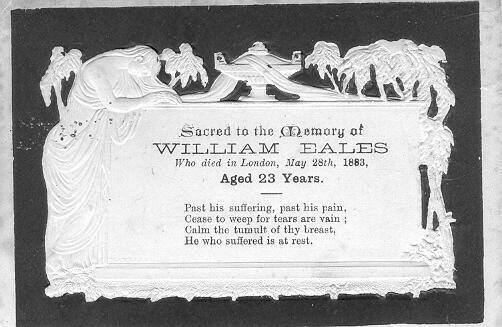 James Wills (2) of the Bay Horse Inn, died on December 14th 1890 aged 58 and James Wills (3) was granted a temporary transfer of the licence from his late father. The Bay Horse is described as a beerhouse when the licence is transferred from Mrs L C Wills to her son James Henry Wills (3) in 1891, but at the end of that year the licence was transferred to Edward Matthews. 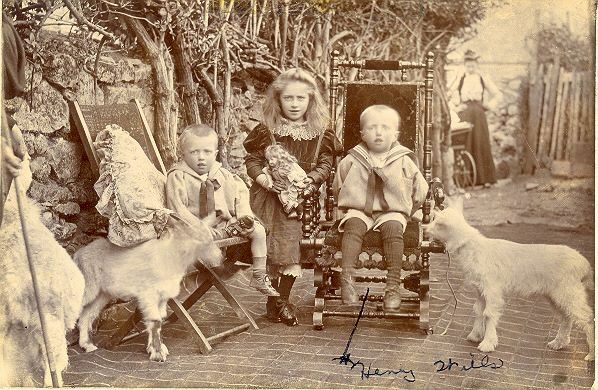 Above: James Henry Wills (3), Susan Ann and their children: Winifred (birth probably registered the September quarter 1888), James Henry, and George W.
Below: Winifred, George W (left) and James Henry (4) right. The photos below, taken in 1973, show the house where the Wills family lived (no. 21, on the left of the picture). Behind was the carriage house where they bundled up the daffodils for market. On the bricks James Henry Wills (4) had carved his name and age, 13. Many thanks to Sheila Lafleur for this information. By 1911 James Henry (3) and his wife Susan Ann are living in East St., where they are dealing in corn and lamp oil. Their son James Henry (4), aged 20, is assisting them. 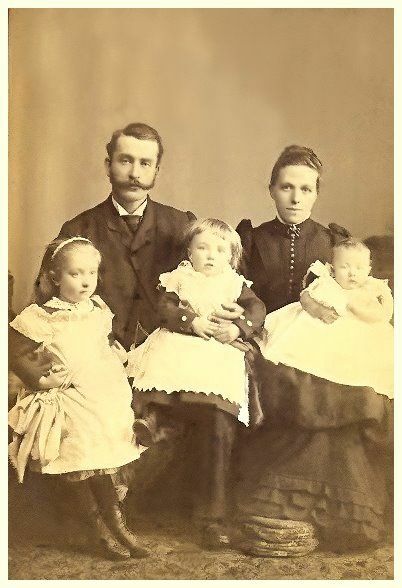 Above and below: James Henry Wills (3) and Susan Ann (née Eales). 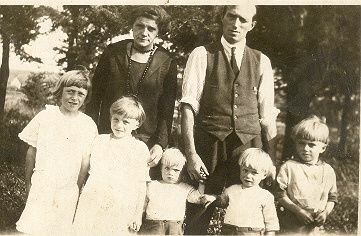 They and all of their children emigrated to Canada. 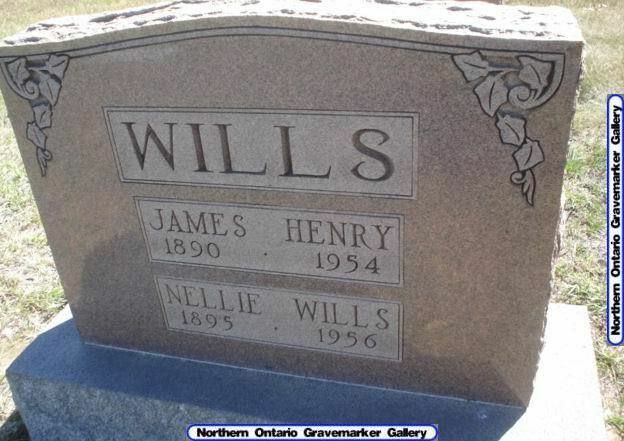 James Henry Wills (3) died at the family home, 425 Cartier Ave., Sudbury, in 1938. His earliest work had been as a janitor to the Canadian Pacific Railway; later he had been sexton with the Church of the Epiphany. He had kept up his interest in the St John's Ambulance, and was a keen gardener. He was interred at the Park Lawn Cemetery. Newspaper obituary provided by Sheila Lafleur. Susan Eales died at the home of her daughter, Winifred. and was interned at Park Lawn Cemetery. She had gone out to Canada in 1912, and had lived in Sudbury for most of her life since emigrating. 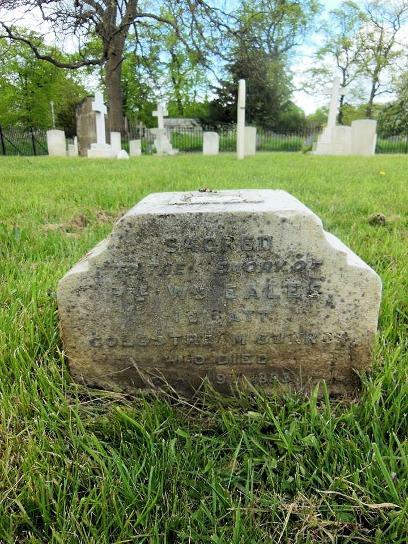 She was survived by three children, grandchildren and one great grandchild, and she also had two brothers living: George Eales in Pennsylvania and James Eales of England. 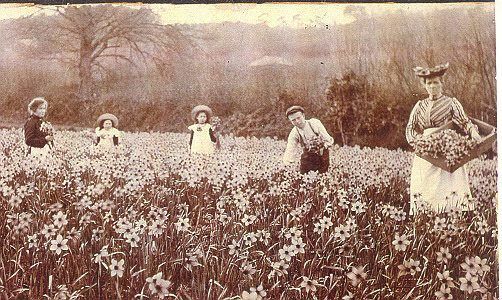 Winifred, the daughter of James Henry (3) and Susan Ann, took a three year millinery apprenticeship in Plymouth and was staying with cousins. One Sunday on her way to church her dress caught in the church railing, causing her great distress. Thomas Tyacke, a Navy Lieutenant, saw the problem and came to her rescue, cutting her loose. Romance grew from there, and Thomas asked for Winifred's hand in marriage. Her father replied - the original was hand written on 3 pages about 5"x 6". East Street, Ashburton. May 31, 09 (1909). A few lines in answer to your letter of this morning. I may say I shall be pleased to give my consent to your engagement to my daughter Winnie of course this is a course that requires a lot of thinking about I mean between you as to whether you are truly suited to each other that you must find out for yourselves. I have a very good opinion of you by what we have seen of you, we hope that opinion will never be misplaced. I hope you both will be honourable to each other and never bring any shame on each other. We have never heard a word against you. Therefore it is with pleasure I give my consent. We are sorry you are not able to be with us today and I suppose we shall not be seeing you again before you go away we voyage and enjoy the best of health. So we must wish you goodbye for the present and remain your.....friends. 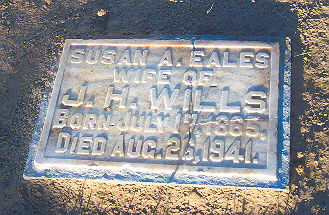 S A and J H Wills. Thomas F Tyacke from Saltash (1888-1983) married Winifred Wills (1888-1973) in the March quarter of 1911. Winifred wore mulberry silk crepon for her wedding to Thomas at St. Andrew's Church, Ashburton, and was attended by four cousins as her bridesmaids: Miss E Martin, Miss May Eales, and the Misses Violet and Freda Sutton. The bride's going away outfit was royal blue, and she wore a mulberry hat. They had a son Thomas Cecil Henry Tyacke who was born at the end of that year. 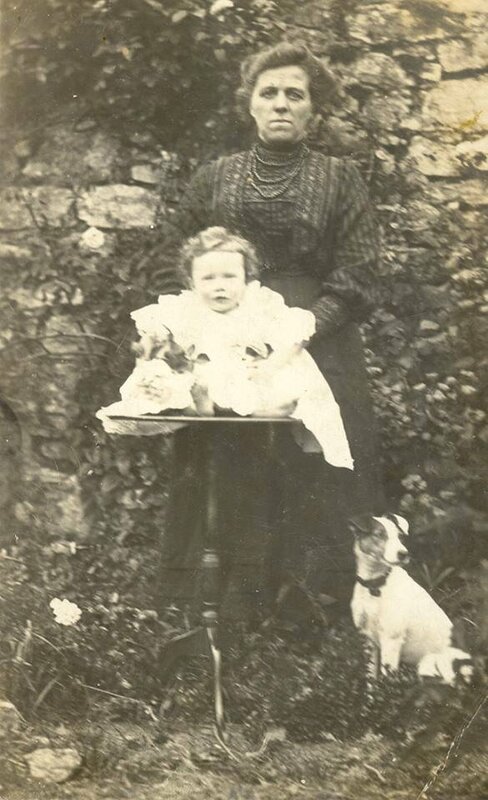 Above: Susan Ann Wills (née Eales) with her grandchild Thomas C H Tyacke. Above: Thomas Snr. 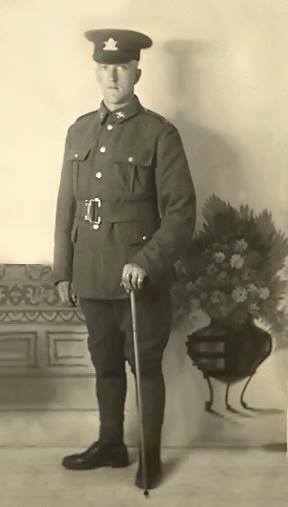 served in the Royal Navy with distinction in the First World War, and the family emigrated to Canada in 1920. 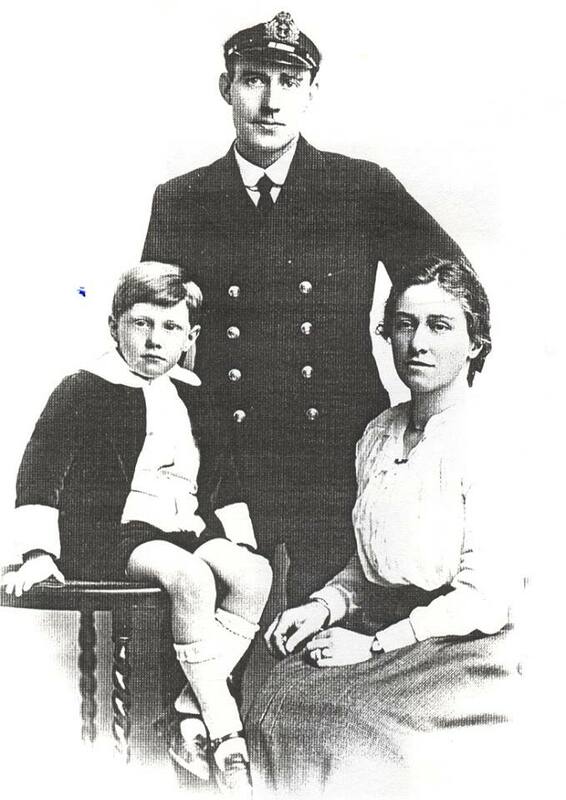 Seen here with wife Winifred and son Thomas. 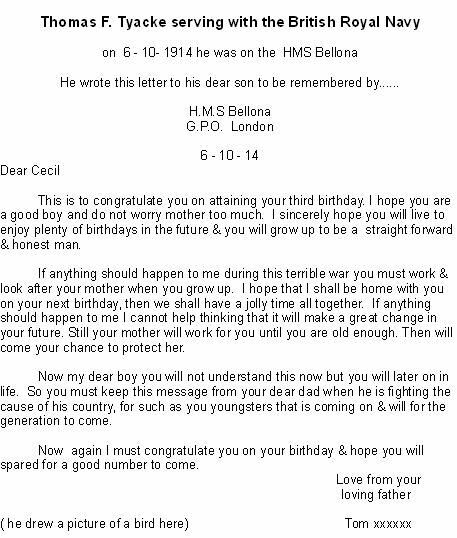 Below: Transcript of the letter that Thomas sent to his son on his third birthday. 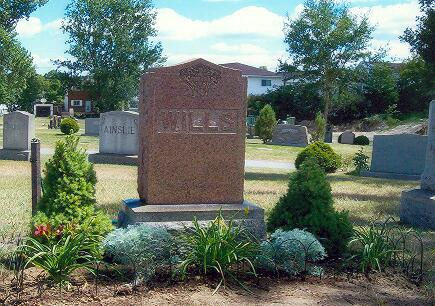 James Henry Wills (4) was born September 25th 1895 in Ashburton, and died September 18th 1954 in Sudbury, Ontario, Canada. 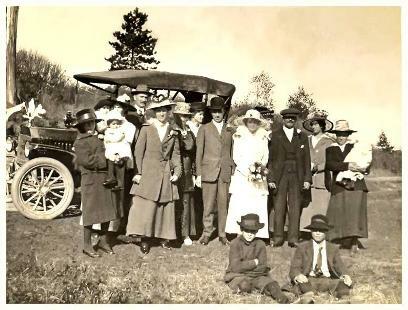 He married Ellen 'Nellie' Edwards October 11th 1917 in Narin Centre, Ontario. Ellen had been born in Wrexham, Wales. 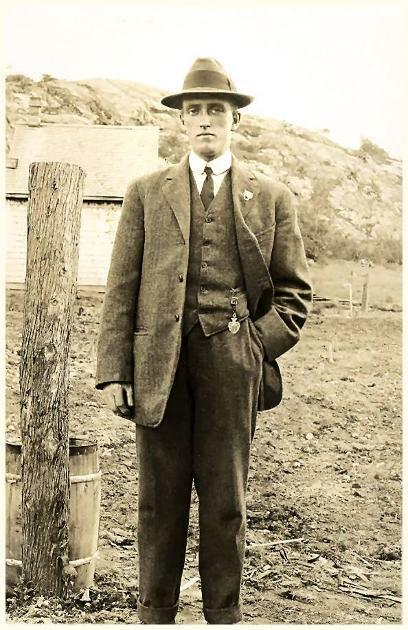 James was an express clerk for the CPR in the 1921 Canadian census - he was an express clerk for 39 years. Ellen died January 24th, 1956, and both are buried at Park Lawn Cemetery, Sudbury. Above and below: James Henry Wills (4) The group photograph was taken in England. 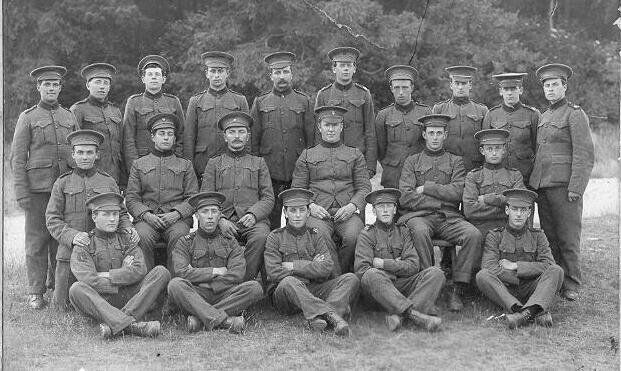 He served with the Canadian armed forces and later was a member of the Canadian Legion branch. Information about James' war service from his newspaper obituary. 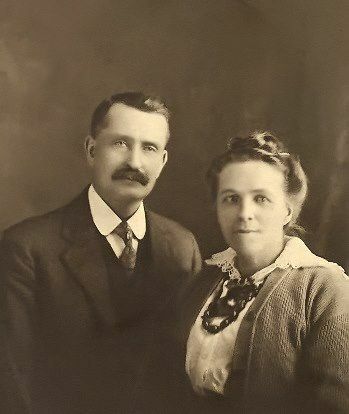 He married Ellen 'Nellie' Edwards in Canada. 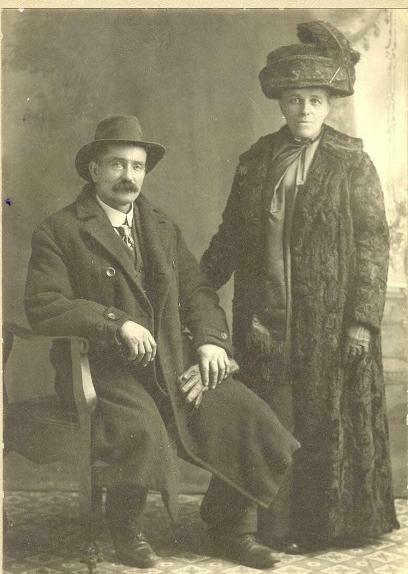 Above: James Henry Wills (4) and Ellen 'Nellie'. 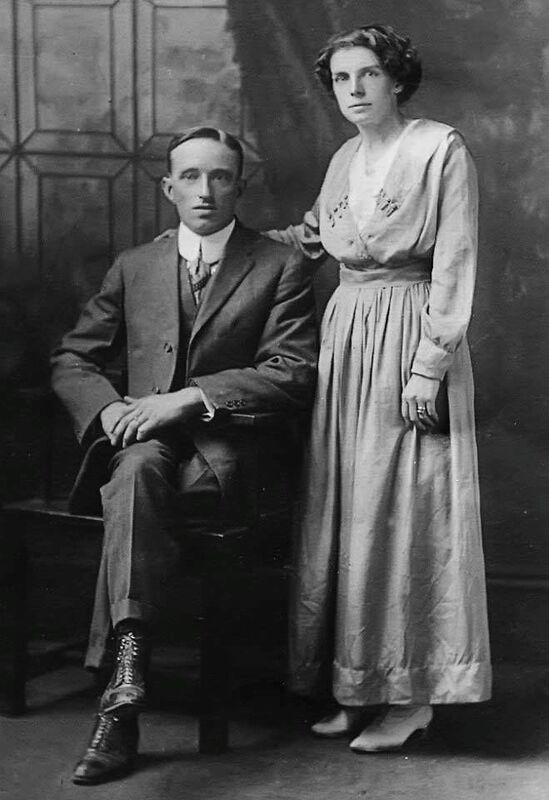 Above and below: William George Wills (1892-1958) married Olive Ruth Heal (1900-1982). He was apprenticed in Devon as a plumber, a trade he continued when he moved to Canada. 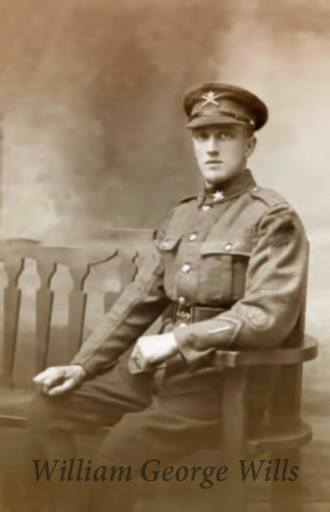 He served in both France and Belgium during WW1 as a motorcycle machine gunner on a sidecar. The following story came from William's son: He was on foot and a bullet struck him in the chest where he had a pocket with a bible in it, and the bullet didn't penetrate. William figured that it must have come from a distance and the rifles were only single shot. Knowing the shooter would have to reload, William took off on a run and counted how long to reload and aim. He then fell to the ground and the bullets whistled by. He repeated this manoeuvre a few more times and thereby made his escape to safety. In 1861 the couple and children Mary H(ead), George, Sarah and William are all living in East Street. George is a master builder employing 3 men and two boys. The 1871 census shows Susan as the 5 year old daughter of George Eales, a mason, and his wife Sarah. This is the Susan (Ann) who married James Henry Wills (3) in 1887. 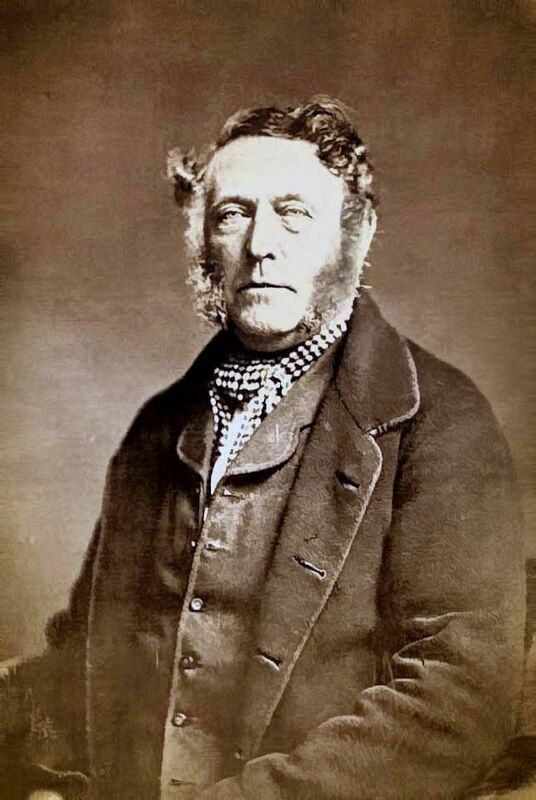 Above and below: William died in 1883, aged 23. His tombstone appears to say that he was a private in the Coldstream Guards.